Indosoft announces its latest call center ACD software, Q-Suite 5.11. 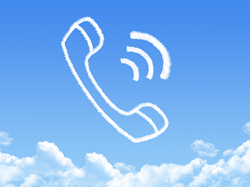 Better responsiveness and reduced overhead offer real benefits to Cloud-based call centers. We're making call centers great again. Improved concurrency for the agent screens. Status updates and agent input happen independently. The updated web socket server allows better threading of many actions. Background processes can run while faster requests finish. Live reports push data to the screen rather than using automatic reloads. This saves resources on the server side due to centralized processing. The user has a better experience because only parts of the report will update when needed. Dialplan and Interative Voice Response (IVR) use Asterisk FastAGI technology. This streamlines and centralizes data transactions. FastAGI minimizes processing overhead and allows resource sharing. "We're making call centers great again." said Indosoft CEO, Gabe Bourque. "Our focus on responsiveness and resource sharing allow clients to focus on what they do best. That was the promise of the Cloud, and we're delivering." Indosoft Inc. is a global provider of Cloud voice solutions and unified communication (UC) software for Asterisk. Q-Suite, its flagship call center software, has been installed around the world for over thirteen years. It licenses its ACD for Asterisk with .NET, Socket and XML libraries to enterprises incorporating Asterisk IP telephony within their product. Q-Suite is available to Indosoft technology partners offering private label cloud voice solutions.